When you place this incredible Beatles Yellow Submarine Meanies Sculpted Ceramic Salt and Pepper Set on your table, you'll have those evil music-haters right where you can keep an eye on (or admire) them! Unique custom-sculpted design and hand painting enhance exquisite details that will please fans. 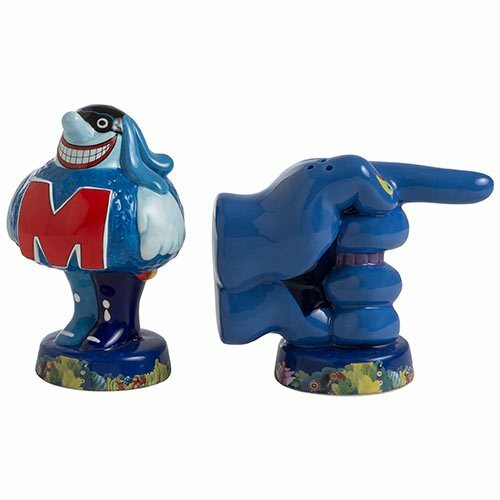 They measure approximately 4 1/2-inches tall x 4 1/2-inches long x 3-inches wide and come in a matching full-color gift box. Hand wash only. Not dishwasher safe.